Thia book is an excerpt(sample) of Book 1 in the Kyle Gibbs series. Lord Francis Butler ruthlessly leads a group of billionaire businessmen in their quest to control the last of the planet's resources. 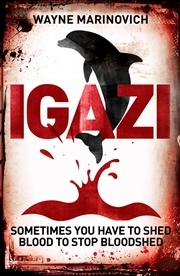 Driven on by the discovery of a methane release that could alter the world's sea-level, with catastrophic consequences, they will stop at nothing to secure their wealth and fortunes. Will their actions help the world to preserve the remaining resources, or are their motives more sinister? 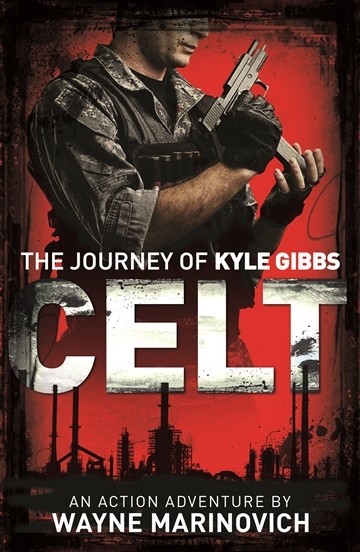 Sergeant Kyle Gibbs is a disgruntled Scotsman, who after serving as an SAS team leader for a now disintegrating British Government, jumps at the opportunity to become a mercenary for this secret Billionaires Club. With the initial signs of climate change affecting London, they race through the poverty stricken city streets, trying to expose the traitor. Wayne Marinovich is an author and wildlife photographer who grew up on a farm in South Africa and spent most of his young life outdoors, learning and developing his passion for the natural world. When he was not fishing, bird watching, riding his bike or climbing trees, he was running around on top of the barn roof, fighting imaginary villains. After a successful career as an IT consultant which saw him travel to all the places he loves writing about, he settled in the leafy county of Surrey, England where he now resides with his wife and fellow photographer, Anneli. His passion lies with conservation and environmental issues which affect both humans and the natural world alike, and he is most happy photographing and writing about the planet's beauty and fragility. Currently he is working on the Kyle Gibbs series, an environmental piece set in a future climate-changed world. The first three books in the series have been published and he is currently working on the fourth. Wayne is also working on a portfolio of environmental novellas and short stories, the latest release being, Floodlanders, a teenager's tragic journey in a flooded London. This book is a work of fiction, so any similarities to living people or anyone that you may know is purely coincidental. The places that I have written about in the Kyle Gibbs trilogy are all places that I have visited, either in real life or virtually by the powers of Google Maps. Military equipment, fighting units, and battle manoeuvres were all sourced via the standard search engines and thus seemed to be in the public domain. Being a wildlife photographer and conservationist, the topics of climate change and overpopulation are never far from my mind. I researched climate change for four years before writing the Kyle Gibbs series and found that there is a myriad of facts and misconceptions out there, no matter what media formats you read. For many years, global warming was the buzz word until scientists realised that it was a confusing term as not all the areas of the planet are indeed heating up. I believe that climate change is the better term to use. The science that I researched tells me that man is indeed responsible for the changes in our climate and the massive increases in CO2 over the past 40 years. Many anti-climate-change scientists have come around to accept man's role. Now the debate is more about how much it will affect our future. The premise of methane release in the novel is pure fiction because, although there are vast reservoirs of Methane Hydrate in the ocean depths, scientists agree that it would not be a single planet changer on its own and what I understand is that most, if melted, would simply not make it into the atmosphere.